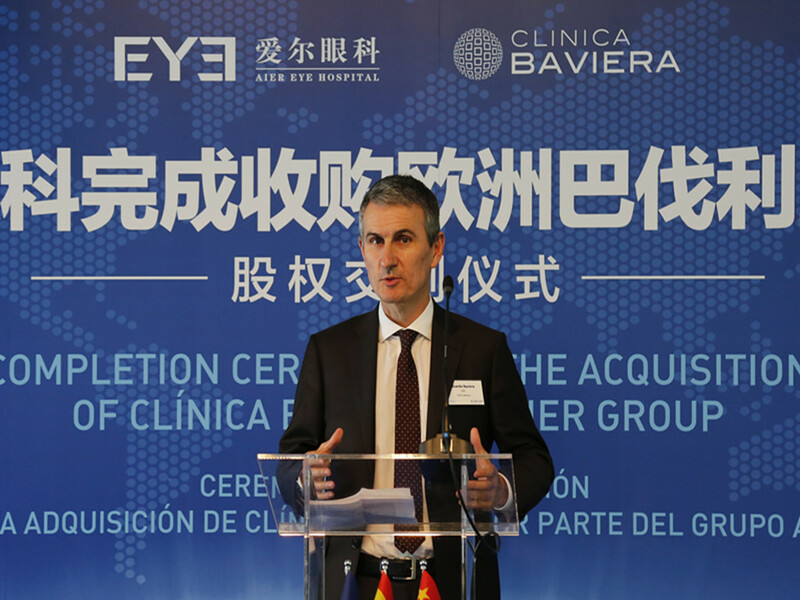 MADRID, Aug. 31 (Xinhua) -- The ceremony to mark the acquisition of the Clinica Baviera by the Chinese AIER Eye Hospital group was held in the Spanish capital city of Madrid on Thursday. The deal, which is thought to be worth around 152 million euros (180.77 million U.S. dollars), opens the door for the Chinese healthcare provider, which is now the world's biggest eye care service group, into the European market allowing them to cover a total population of over 2 billion. It is the biggest merger ever in the international eye industry and a historic moment for the global ophthalmic industry. And the ceremony was attended by members of the Chinese and Spanish business communities. The agreement gives AIER Eye Hospital Group an "absolute controlling stake in Baviera, with close to 87 percent" of its shares and "two thirds" of the seats on the Board of Directors, although Baviera will retain its core management and medical team. 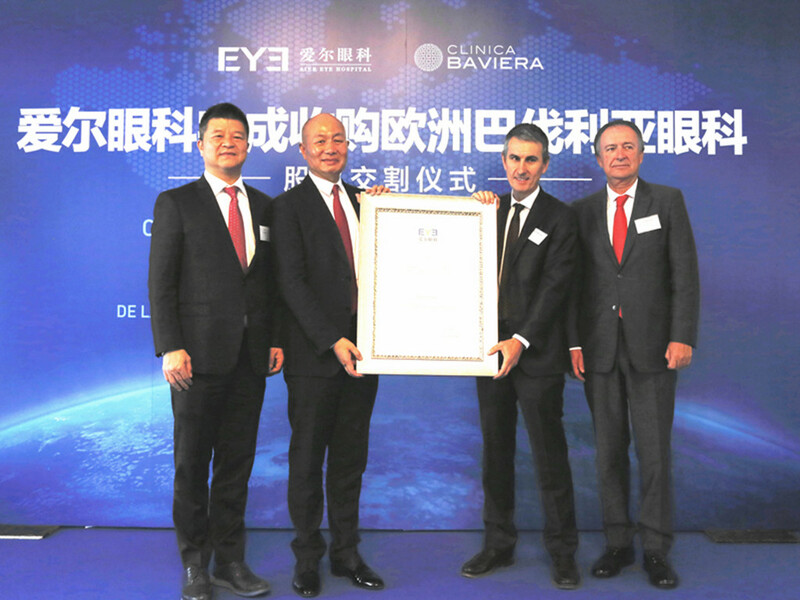 Clinica Baviera is the leading eye medical chain in Europe with 76 centers, while AIER Eye Hospital Group, is the largest such group in China with 190 specialized eye hospitals in 30 provinces and has carried out almost 30 million procedures. 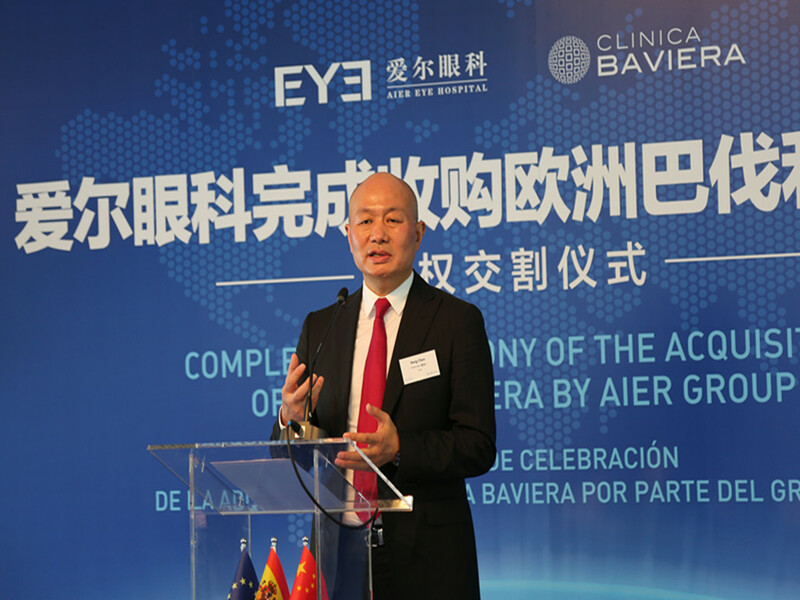 "The combination of Asia's leading AIER Eye Hospital Group with Clinica Baviera will work together to create one of the world's largest ophthalmic platforms, which will not only build up complementary advantages in advanced ophthalmic diagnosis and treatment technologies, quality experience, human resources and other aspects, but also promote mutual improvement in the network and services," said AIER Eye Hospital Group Chairman Chen Bang at the ceremony. He also highlighted that the accord was "the first time in the development history of China's medical and health sector to export China's modern medical services to the European market in professional and systematic manner," adding it would "greatly enhance the international influence of China's medical services." For Clinica Baviera's CEO, Eduardo Baviera, the agreement provides "an opportunity for Clinica Baviera to boost market and service capabilities, which will further expand the diagnosis and treatment coverage of Clinica Baviera and AIER Eye Hospital Group and complementary advantages in markets, diagnosis and treatment technologies."